To first understand server racks, you must understand the different names it can be referred to. Server racks can also be called rack cabinets, rack enclosures or equipment racks. They often have front and rear doors that are either perforated or solid and are made of metal. Most rack enclosures have adjustable rails for loading equipment of different sizes. With proper installation, they can also be mounted. My rack cabinet has solid doors. Do I need a fan? Electronics within the rack cabinets require ventilation at a minimum of 63%. For this reason, perforated doors are common. Solid doors, however, require more equipment to comply with ventilation standards like cooling fans. These fans are usually placed at the top allowing air to enter the rack from the bottom. Are racks and enclosures affordable? Refurbished server racks are popular among those not wanting to spend large amounts of money on brand new server rack enclosures. Used versions of almost everything needed to manage a data center are available if needed. Some consumers even prefer used computer racks to new because of the savings and reliability. What types of racks are out there? Computer racks come in many different types. These types include server racks, open frame racks, transportable racks and 2 post. Open frame racks have no doors and often use air panels to prevent air mixing and comply with ventilation standards. Transportable racks are in many cases smaller and are designed to be easily moved if required. 2 post relay racks are the most affordable of server racks and only have two uprights to support the equipment, unlike most which have four. These are usually found in data closets, back offices, and data centers. As technology continues to improve and the need for computers and servers increases, so will the need to organize the equipment used to operate them. 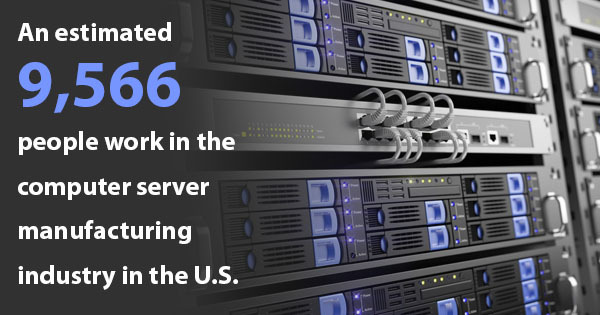 Maintaining the heart of operations and IT in any company is important and having the right server rack enclosures can be just as important to keep that heart functioning.